Publishing History: First serialized in the January 2016 issue of People’s Literature (circulation 50,000, estimated readership 125,000). Published by People’s Literature Publishing House, March 2016, over 150,000 copies sold in the first six months. Length: 212 pages, roughly 140,000 Chinese characters. This would translate to between 110,000 and 120,000 English words. Jia Pingwa’s Jihua doesn’t make simple moral judgements – it explores the soul of the protagonist. The village Jia depicts in his novel is a suffocating place: women are trafficked, ‘ghost marriages’ are arranged for the deceased and the elderly kill themselves. The air of tragedy is set right at the start, when a 73-year-old man commits suicide by drinking pesticide, as he was unable to stop his daughter-in-law eloping with another man after his son leaves to work in the city. A controversial and heart-breaking novel, The Poleflower is a fictionalized first-person account of Butterfly, a young woman who is kidnapped from the city and sold into sexual slavery in the countryside. 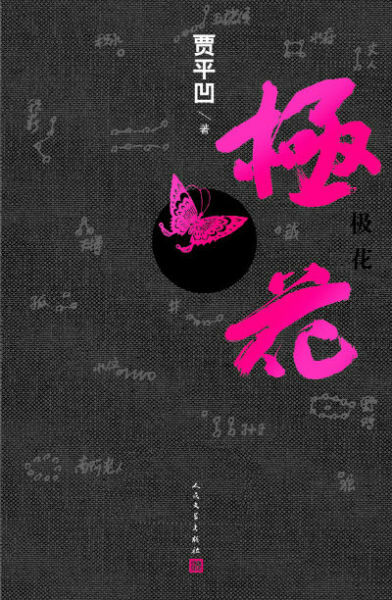 Forced to become the ‘wife’ of an ignorant and abusive alcoholic, Butterfly finds herself simultaneously repulsed and fascinated by the otherworldliness of everyday life in a remote mountain village. Descending into madness, Butterfly hallucinates an abortive rescue attempt and comes to accept the inescapability of spending the rest of her life in the village, taking care of her infant son. herself a capable ‘city girl,’ Butterfly thinks she’s struck it rich when a hotel owner offers her a lucrative job in a faraway town. Not long after, however, she finds herself imprisoned in an isolated village even more backwards than the one she grew up in. Shiny-black is a middle-aged shopkeeper in a drought-stricken village. He purchases Butterfly from a trafficker for 35,000 RMB (roughly 5000 USD) to live in his cave and be his ‘wife.’ A violent drunk, Shiny-black’s lack of education and low income have made stymied his attempts to find a wife. Within the village, however, he is respected for his business acumen. Old Man Shiny-black is Shiny-black’s widowed father, a farmer who works as a stone-carver in his free time. Makes ‘stone wives’ for the single men in the village and takes care of Butterfly while Shiny-black is away. Uncle Blindy is Shiny-black’s blind and mostly mute uncle who provides much of the household labor. He also looks after the preternaturally intelligent family donkey, a prized possession whose offspring provided the money to purchase Butterfly from the traffickers. Great Gramps is the oldest person in the village and former teacher. One of the few villagers who is able to read and write more than a few characters. Considered to be especially well-versed in the constellations and traditional Chinese mythology, the villagers often ask him to predict the weather and give auspicious names to their children. Auntie Pockmark is a superstitious older woman who whose husband habitually beats her for failing to become pregnant (it is later revealed that she aborts her children using a taboo form of traditional medicine) and making papercuts instead of doing chores. 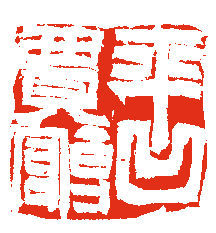 In interviews, Jia has stated that the story was inspired by true events which took place in Shaanxi in the early 2000s. The main setting is a bleak and isolated village where the inhabitants barely scrape by through subsistence farming. What little money they can earn is made by selling local specialties to wholesalers in the township and country-seat: first and foremost among these is the eponymous ‘poleflower,’ a made-up caterpillar fungus which parasitizes its host, similar to the real-life Tibetan Ophiocordyceps sinensis, highly prized in traditional Chinese medicine. Like many rural villages in China today, there is an acute shortage of women, a key outcome of the Communist Party’s 1978-2015 one-child policy which resulted in a rise in the abandonment, abortion, and infanticide of female children, owing to a long-standing preference for male children in Chinese society, particularly in rural farming communities. This trend was later exacerbated by rural women moving to urban centers in search of higher paying work in factories, and also financial and physical independence from parochial male-dominated family structures. Indirectly referenced through accounts of induced abortions, infanticide of physically abnormal children, and the clandestine IUDS, the one-child policy forms an unspoken backdrop to the novel. The novel is told from the perspective of Butterfly, who learns the history of the village from conversations with Shiny-black and Great Gramps. It begins in media res, on the 178th day of Butterfly’s captivity. The events leading up to and immediately following her kidnapping are related via flashbacks, which become increasingly detailed as the novel progresses, relating more and more of her life with her mother in the city, memories of her younger brother and father before his death, and an impossible longing for a handsome and intelligent young neighbor who was one of the last people to see her before she was taken. Contrasted with these relatively rosy memories are scenes of rural ignorance, filth, squalor, and violence. The Poleflower is a challenging novel on several levels. Although the story itself is relatively straightforward, the large number of flashbacks may throw some readers. Given the subject matter, juxtapositions between life with Butterfly’s family and life in the cave are especially jarring. In terms of style, the register is tricky to get right in English—in interviews Jia says he was trying to mimic the way that a young woman’s speech. I did my best to convey this using ‘incorrect’ grammar, run on sentences, and relatively simple vocabulary. The greatest challenge, however, is the content and plot. It has already become controversial among readers in China, with some accusing Jia of trying to justify human trafficking. The controversy was made worse in May, when Jia was quoted in an interview as having (allegedly) said, “[Shiny-black] might be wrong in legal terms, but if he didn’t buy a wife, if villagers there never bought wives again, then the village would disappear.” For his part, Jia has argued that his words were taken out of context and that readers shouldn’t judge the novel without reading it first, which many seem to be doing. Whether or not Jia’s words were taken out of context, however, from my reading of the novel I do think critics are asking a valid question: Why should the villages survive? It’s just that this doesn’t seem to be the question that Jia is interested in answering, and it doesn’t seem to be an unconscious oversight. Rather, from reading his other books, my impression of Jia as an author is someone who prefers to tell an ugly truth over a beautiful lie. In his afterward to the book, Jia explains that he was inspired to write the novel after the daughter of someone from his hometown was kidnapped and sold into sexual slavery. The family was able to eventually track her down and bring her home, only to have her run back to the village she was trafficked to, so that she could be with her infant child. The question Jia had then, he writes, was why would she go back? In this sense, The Poleflower isn’t so much a defense of rural villages, as it is an indictment of increasingly irreparable divide between the urban and the rural in Chinese society. What he is asking, I think, is for readers to consider the plight of women in the villages who can’t get out—it cannot be a coincidence that most of the women who live in the village aside from Butterfly are mentally or physically disabled. While the idea that the villages should just die out or disappear may seem like taking the moral highroad, it conveniently ignores the fact that the ‘Chinese economic miracle’ of the last 30 years has incentivized the cheap labor and undervalued agricultural products (another theme) made possible by rural poverty. Jia isn’t unique in being criticized for his portrayal of bride trafficking, either: the 2009 movie The Story of an Abducted Woman, about woman who returns to be a teacher in the village where she was trafficked, was widely panned by critics, despite being (like The Poleflower) based on a true story. While some have accused Jia of writing a sensational story to bring attention to his work, if that was his goal I can’t help but wonder why he would choose to end the novel the way he did. In most of the critical write ups of the novel that I’ve come across, it’s assumed that Butterfly actually did get rescued. I think the novel makes it abundantly clear however, that this is only one possible reading of the novel—it seems just as possible that she was driven insane and hallucinated everything leading up to and taking place after her supposed rescue. To put this online criticism into context however, it might help to look at a work that has recently been earning praise for taking a more aggressive position on bride kidnapping: inspired by movies such as Kill Bill and Mad Max: Fury Road, Zhang Xuyang and Zhu Qing’s online graphic novel Raging Radish features a femme fatale in a dystopian wasteland who hacks up her traffickers with twin sickles wearing a creepy cow skull mask. It’s a fun take on a grim topic, but in comparison to the crushing realism of The Poleflower, it seems like an easy out. There is nothing easy about this novel. On a more universal level, though, the book is about the invisibility of the rural poor and an affirmation of indigenous culture. The semi-fantastic film Beasts of the Southern Wild (2012) might seem to be a strange comparison at first, but similar dynamics are at play: finding and celebrating local solutions to environmental degradation and social decay. In the face of overwhelming violence and seeing no way out, the women of The Poleflower provide a spirited, if often futile resistance. Contraception is shown to be a powerful tool for breaking the cycle of poverty brought about by large families, as are the marketing and distribution of rural products in urban centers: papercuts, blood onions, purple potatoes, stone carvings, and of course, poleflowers. Again, there are no easy answers and the book doesn’t get bogged down in providing an account of the history of China or an analysis of government policy. Rooted in the traditions of the land, Jia depicts the horror of trafficking without sugarcoating a grim reality: for most women like Butterfly, few resources are available to help re-society or gain custody of their children even when they do manage to escape.